Our slate has received EN 12326 accreditation and now has a CE mark. We previously had received the French Standarde Normale P32-301 accreditation. 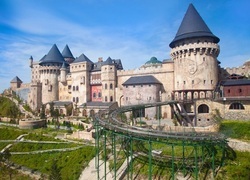 Lai Chau Stone Company is the original and still premier slate production company in Vietnam. We have our own quarries in Lai Chau Province and we process roofing and paving tiles to customers' specifications. 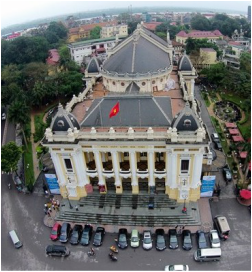 Our slate graces historical monuments in Vietnam such as the Hanoi Opera House (left) and the HCMC Opera House (far left).